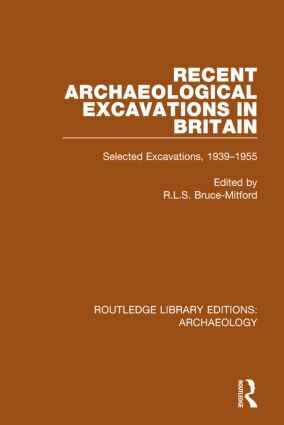 Originally published in 1956, this collection features chapters by well-known archaeologists on various archaeological sites explored in the previous decade, as examples of the techniques being used and finds being made. Mostly from the lowland zone of Britain, the chapters nonetheless offer a spread of location and site types; while the periods being investigated range from prehistoric to Romano-British to later fields. This detailed work exemplifies the steady progress of study in archaeology and a final chapter on air reconnaissance deals with one of the most revolutionary additions to archaeology in the post-war period. Contributors include: J.G.D. Clark, R. Rainbird Clarke, Sir Mortimer Wheeler, I.A. Richmond, G.W. Meates, W.F. Grimes, C.W. Phillips, J.R.C. Hamilton, Brian Hope-Taylor, J.G. Hurst, J.K.S. St. Joseph.